Ever since 1999, Bethel Church’s Jesus Culture has been leading some of the most powerful live worship sets out there, capturing them on their yearly live albums since 2005’s Everything. Their music beautifully captures the presence of God, especially in spontaneous moments, making perfect music for prayer time, or even for background music to keep your mind focused on Jesus throughout your day. Ten albums later, with Jesus Culture’s brand new release Love Has a Name, Chris Quilala and Kim Walker-Smith are still giving us fantastic offerings of worship, along with the rest of the Jesus Culture worship team. “Weight of Heaven” sounds like a more upbeat version of “Let it Echo,” with more electronic fill-ins and synthesizers, a prayer that God would bring more of heaven to earth. Although the melody of the song sounds like previously released Jesus Culture songs, the prayer is one that can never grow old – especially as Chris sings what he does best, “Have Your way!” The title track follows, with an extreme strength and anticipation that wells up inside as you listen to Kim remind us that love, victory, and hope have a name – THE name above every name, Jesus! A powerful anthem, it is the perfect title track to sum up the album, and another track that must be turned up loud to enjoy the depth and strength it contains. Also enjoyable is Kim’s spontaneous moment in the middle, where she strongly sings, “My victory’s in the one name!” and encourages the listener to look to the Source of Life. Katie Torwalt, who brought us “Holy Spirit” back in 2011, appears with her only song on the album, “Flood the Earth.” Her phenomenal vocals powerfully sing what is one of my personal favorites off the album, a cry that God would flood the earth with His glory and His power “without reserve.” Especially poignant is the bridge (which uses the same lyrics as the second verse) when Katie sings, “Freedom is here/ Fear has to leave/ Pain has to go/ Darkness retreat/ Heaven flood the earth!” Sounding much like Kim Walker-Smith’s “In Awe of You” from Unstoppable Love with strong strings and drums, it also has a short instrumental period that reminds me much of “Let the Heavens Open” by Kari Jobe, with the strength of all instruments combined. Chris Quilala’s “Make Us One” follows, a simple song that God would join His church together in unity, a much needed prayer in times such as this. While it is one of my lesser favorites on the album, I really appreciated the message, one that I will definitely be praying and singing along with. Next comes Bryan Torwalt’s “Sound of Adoration,” sounding much like his “High Above” or “World of Grace” off the Torwalt’s Champion album released late last year. It speaks of having such a love and adoration for Jesus that we can’t help but express it in praise and worship to Him. Again, it’s not my favorite track off the album, but nevertheless has a wonderful message. My personal favorite off Love Has a Name is “Never Stop,” brought to us by Kim Walker-Smith. Very tranquil, yet not too mellow, this stunning track reminds us that Jesus is always singing His love over us and speaks of listening to His song (“You never stop singing You love me/ For the rest of my days, let me ever be listening to Your ‘I love you’s’ cause’ I love You”). It truly quiets you with His love as you are reminded that He rejoices over us with His song (Zephaniah 3:17). Such a beautiful song with a special peace to it, “Never Stop” was my personal favorite at first listen and still continues to be with each additional play through the Love Has a Name album. “Fresh Outpouring” was originally featured on Kim Walker-Smith’s album On My Side; and as with the original, there is such an anticipation, a cry for the rain of God’s presence in these last days. It being one of my favorites off her album, I was thrilled to hear it again on this Jesus Culture album. Although it doesn’t sound as strong as the studio version, the strength of this fourteen-minute track – besides the intense presence of God that it carries – is the spontaneous moment where Kim sings from the depths of her heart. I was touched as I listened to Kim prophetically sing of remembering what God has done for us in the past as our incentive to say a great big yes to Him all over again. I could listen and soak it in over and over again – so powerful! Derek Johnson, who brought us “Power of the Cross” on Let it Echo, brings us “Love Overcomes” next. Sounding much like something we would hear from Brian Johnson of Bethel Music, Derek describes in this light pop track having such a hope in Jesus’ love, a love that overcomes everything. Also a first to appear on last year’s Let it Echo with “Everything and Nothing Less,” Chris McClarney brings “My One My All.” At first listen, I didn’t recognize his voice, as it sounds phenomenal. He passionately sings with a higher vocal range a deep heart’s cry for nothing else but Jesus alone, describing how “just one touch and everything changes.” It is a track that could easily bring the listener to tears, as it touched my heart – definitely one of my favorites off this album Love Has a Name. Closing the standard release of the album is “However You Want,” much like the preceding track: Chris Quilala softly invites the Holy Spirit to come however He pleases, like a fire or a flood. Four additional tracks form the deluxe edition, which is available digitally. “Infinite” is led by Kim, an upbeat celebration of God’s extravagant love for us, sounding comparable to “Throne Room” off her album On My Side. Ruthie Ridley has never appeared on a Jesus Culture album before, but was a part of the church plant of 2013; here she brings a powerful debut, titled “Love That Saves” that reminds me much of Cory Asbury’s “Yahweh” track – it asks questions, such as “Who can set the captives free?” and powerfully answers, “No one but Jesus!” -- a soft track, but powerful and deep. I was surprised to hear Jon Egan from New Life Worship on this record; “Make a Way” is a soft track that leaves the listener instantly singing along with the easy-to-pick-up but powerful chorus: “Where there is no way you make a way/ Where no one else can reach us, You find us.” The audience definitely receives, cheering when appropriate, and crying out the lyrics. Chris Quilala brings the closing “Anything Can Happen,” which continues the miracle-working message of Jesus in a soft way. These last three tracks are really powerful and touching, definitely worth the deluxe edition of the Love Has a Name album (although Kim’s is definitely worth it too!). 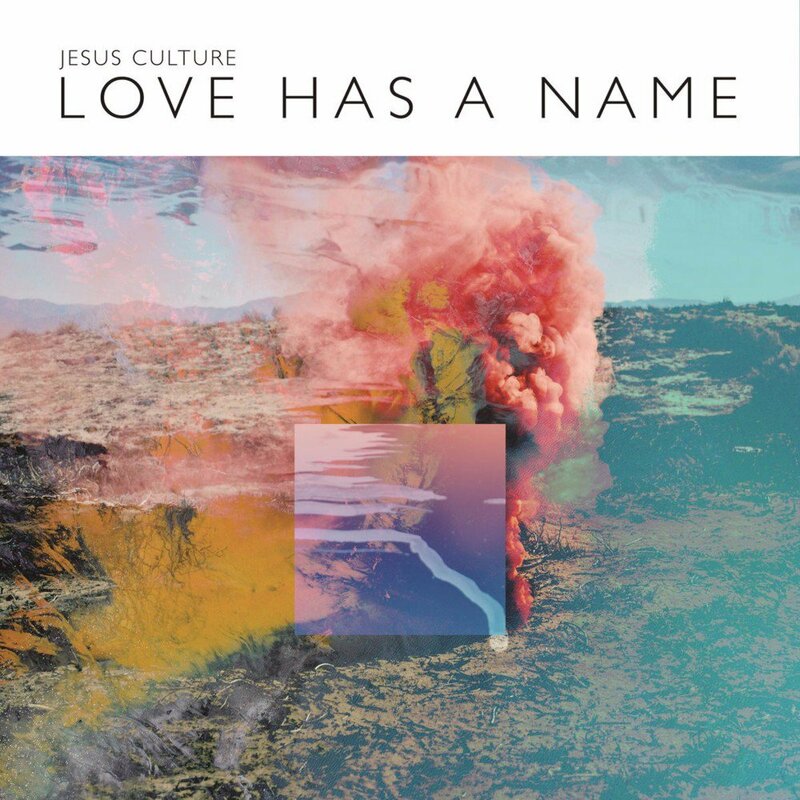 While some might argue that Love Has a Name doesn’t have much musical variation, and a few tracks were not my favorite, the presence of God is undeniably captured in a beautiful way in this latest Jesus Culture CD. For me, that is what music is all about. Even as I reviewed the album, I got lost in the beauty and the presence of God contained in it, especially with several tracks that touched my heart and helped me to refocus on Jesus -- particularly “Flood the Earth” (Katie Torwalt), “Never Stop” (Kim Walker-Smith), “My One My All” (Chris McClarney), and “Make a Way” (Jon Egan). Fans of Jesus Culture’s, as well as those looking to add new music to their worship collection for prayer time, will not be disappointed by this album!